Last weekend I was in the mood to try (and eat) something new so naturally I turned to bread making and decided challah would be the perfect choice. 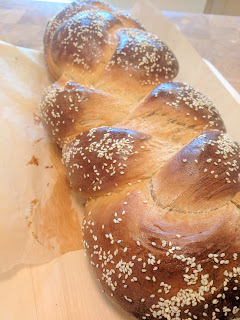 Challah is a ceremonial Jewish bread typically eaten on the Sabbath or major Jewish holidays. 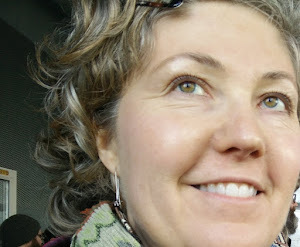 It is distinguished by it's braided strands and golden brown crust. For my first attempt at making this bread, I followed the recipe found in The Bread Baker's Apprentice cookbook. It's basically the same recipe I found on the New York Times website as well. The first thing I noticed when reading the recipe, was that it called for sugar. 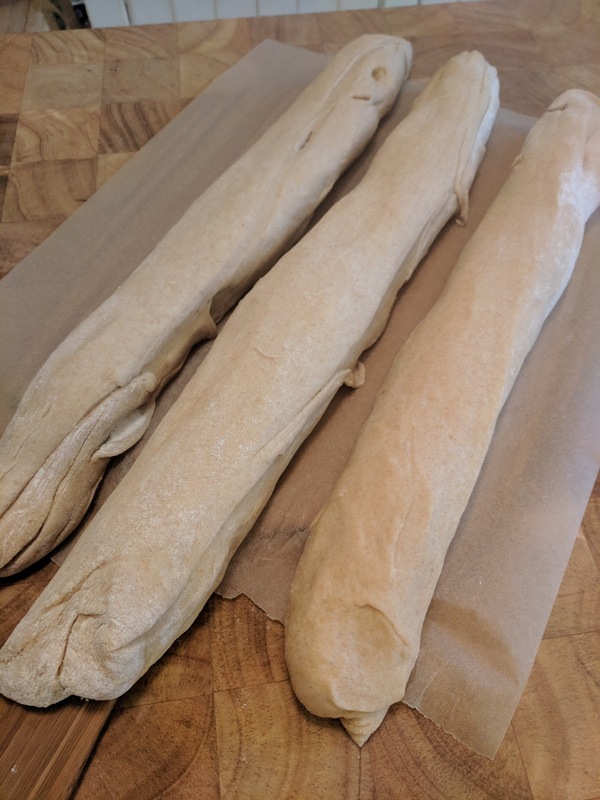 Although it doesn't taste sweet, there is a half a cup of white sugar in the recipe however there is also 8 cups of flour making a very large loaf! 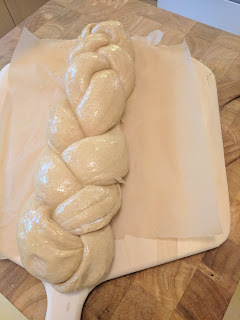 Since I was a novice, I opted to do the 3 strand braid of the dough rather than the more advanced 4, 6, or 12 strand. I followed the instructions on braiding the bread from this excellent website. 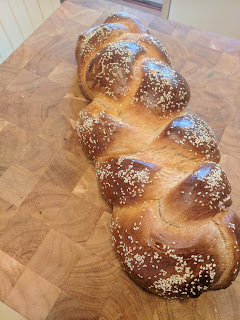 I love that so many breads are steeped in strong historical or religious reference and certainly challah is no exception. Such a beautiful loaf of bread and even better it tastes wonderful!